CheeseBoy is lactose intolerant, hence he’s basically pretty much allergic to milk. This is exactly why you will see CheeseBoy consume very little amount of dairy products. But I totally don’t understand how he can devour large amounts of CHEESE! 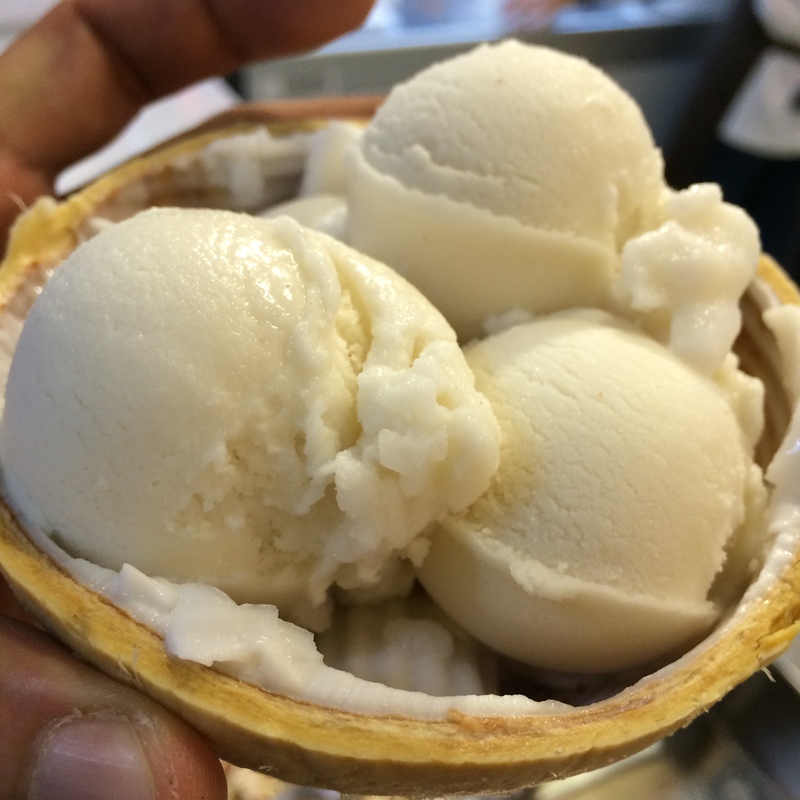 So when we heard about Sangkaya Coconut Ice we couldn’t be happier. Why? 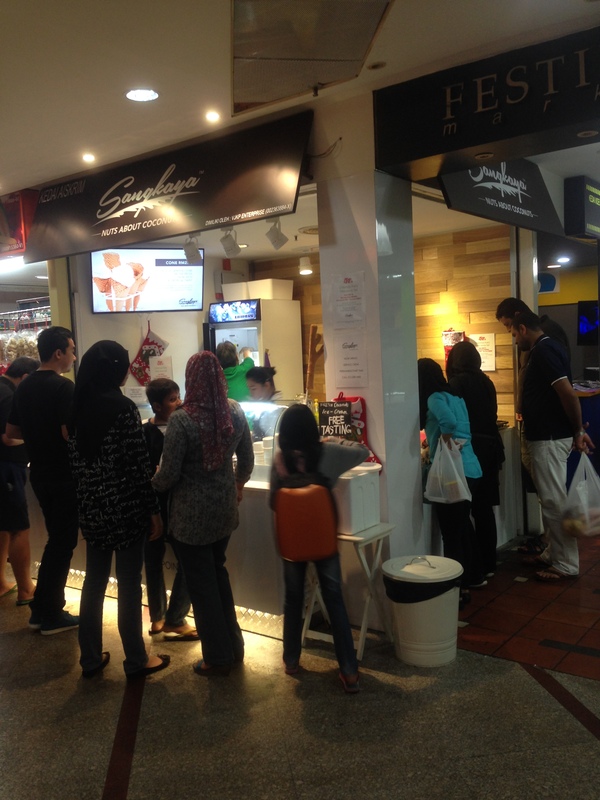 Because Sangkaya ice cream is made WITHOUT using milk and egg for their ingredients. Yay! Despite all that it didn’t jeopardize the taste at all. 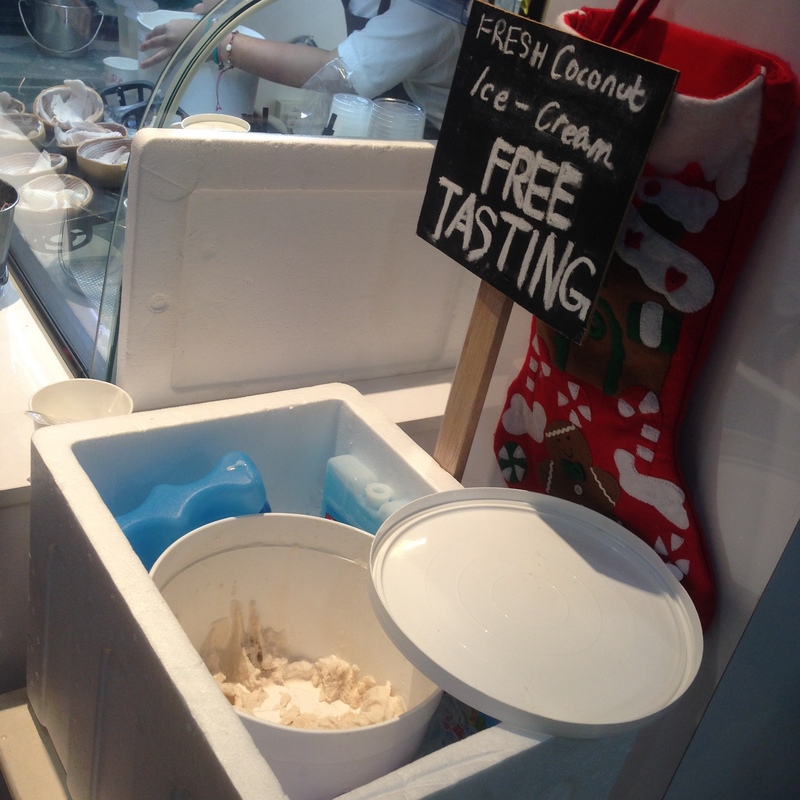 Besides that, Sangkaya Coconut Ice-Cream is made fresh daily. Double yay! 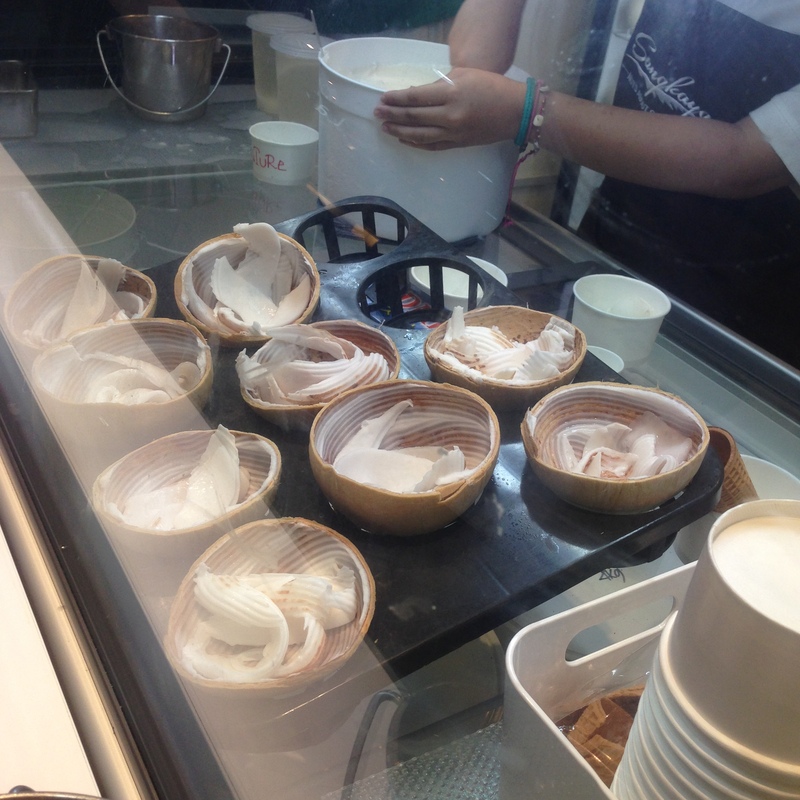 This is their specialty, coconut ice-cream served in coconut shell with some shredded coconut filling. 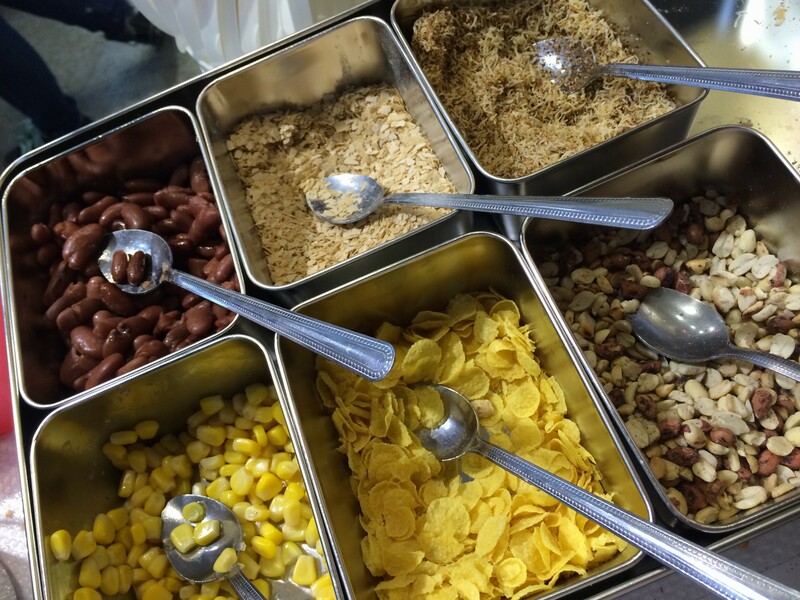 The toppings are free. Triple yay! 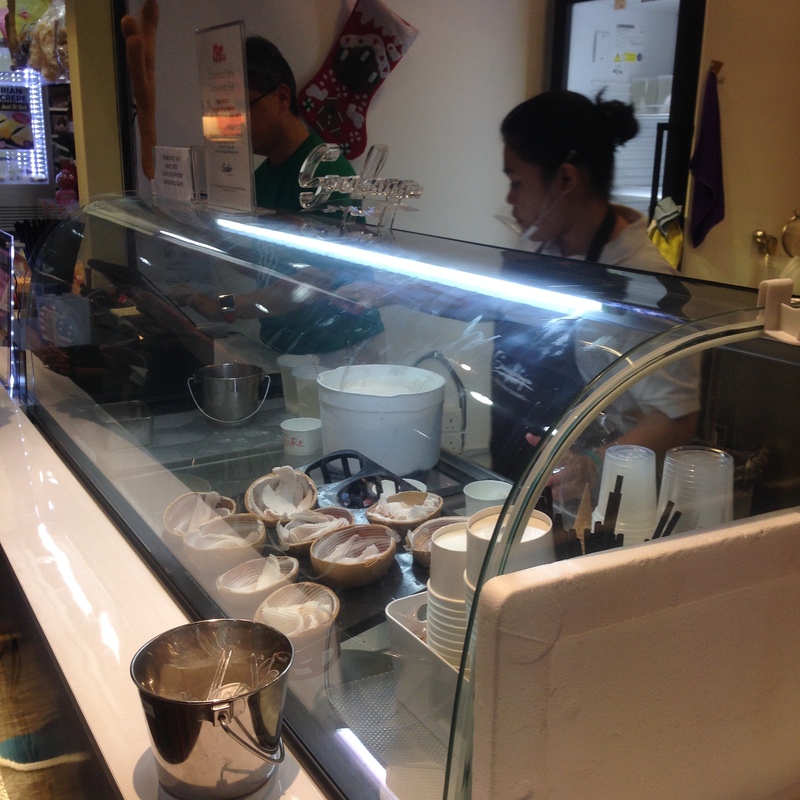 Check-out the isi kelapa! Yummy! Opens daily from 10.00 a.m. to 10.00 p.m.